It only took one class for Seka to fall in love with yoga. For an hour each week, she escaped the chains of her cell phone and social expectations and found freedom in a simple focus on the breath. She practiced Iyengar, Prana Flow and Anusara before taking a Forrest Yoga teacher training in 2012. Following the teacher training, Seka taught Forrest-inspired classes at several studios around Seattle. 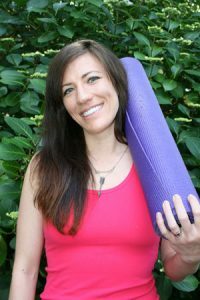 She currently lives in Vancouver, BC, where she samples all the local studios and studies the impacts of spiritual practices, including yoga, on our everyday lives. Life has a way of surprising us, so it’s empowering to be the one to decide to turn life upside down. Yoga inversions are a safe, beautiful, exhilarating way to do just that. A yoga inversion is simply any asana that brings the hips above the heart or the head below the heart. With this simple definition, an inversion takes – literally – many shapes and forms depending on what your body needs and is prepared for. Whether it’s as basic as Adho Mukha Svanasana (Downward-Facing Dog) or as challenging as Adho Mukha Vrksasana (Handstand), there is a place for inversions in your practice. Just as a yoga practice should be adapted for its one-of-a-kind yogi, a woman experiences her menstrual cycle uniquely. Though many women feel less energetic on their periods, some may feel little to no change. 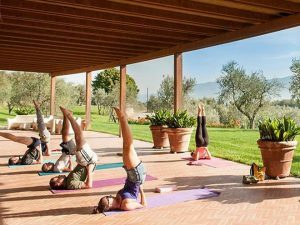 Where one woman may crave the soothing flow of Sun Salutations, another may wish for gentle restoration or complete rest, without practicing yoga at all. 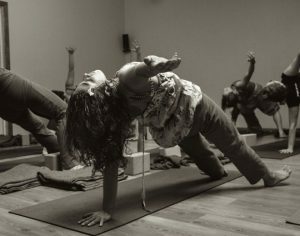 Still others may crave an intense, inversion-filled Ashtanga sequence. Yoga practice depends on the yogi and the choice of how to practice yoga while on her period depends on the woman. A sincere practice of yoga is done to learn how to listen to the intuitive wisdom of the body. It is with this intention that a woman learns to care for her practice – and herself – during the so-called “critical days” of the menstrual cycle. The benefits of yoga are impactful because they’re felt rather than analyzed. Usually this is manifested in an open body and expansive breath. However, researchers are finding that yoga’s positive impacts on mental health are validated in a scientifically-established way. It makes intuitive sense that a practice teaching relaxation techniques such as deep breathing and conscious muscle release would result in relaxation of the mind. The key to this connection is in yoga’s impact on the body’s stress response. A Harvard Medical School article1 reports that yoga’s ability to decrease physiological arousal, such as increased heart rate and shallow breathing, also decreases mental arousal to stress. Usual emotional stress responses would be feeling frustrated or anxious, nervous, and exhibiting clouded judgment. Anyone who’s been through several rounds of Sun Salutations knows that yoga will quicken your pulse. 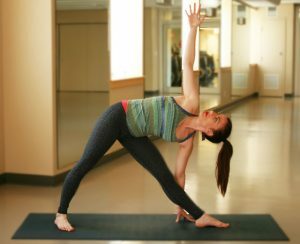 The heart-healthy practice of yoga positively affects the cardiovascular network and its relationship to clean, oxygen-rich blood. Cardiovascular network: A healthy cardiovascular system is one that moves blood efficiently. A healthy heart carries nutrition from food and oxygen to fuel your muscles and organs, including your brain. The blood also discards waste products. More important than medical benefits, a healthy cardiovascular system increases mental alertness and vigor. A healthy heart equals a happy life. Don’t let its slow pace fool you—practicing Yin yoga is a rich and meaningful experience. Developed in the late 70s by American yoga teacher and martial arts champion Paulie Zink, Yin yoga is the balance to a full, active lifestyle. To fully understand Zink’s intention in creating this style of yoga, you must first understand its roots in Traditional Chinese Medicine (TCM). In TCM, life force called qi (pronounced CHEE) flows through the body via energetic (non-physical) meridians in the body. In yoga speak, this is similar to the movement of prana (life force) through the body via pathways called nadis. A good yoga teacher will tell you: The only requirement of practice is the ability to breathe. Yoga props are a tool to make that possible. The purpose of a yoga prop is to support and enrich your practice, full stop. This is true of seasoned yogis using belts to free-balance handstand as much as it is the brand new yogi who sits on a bolster to make Easy Pose (Sukhasana) comfortable for tender knees. A misconception about using props is that they’re somehow a cop-out—that a “real yogi” doesn’t use props. Since they were first introduced by B.K.S. Iyengar who is, inarguably, a “real yogi” in the modern day practice, this just isn’t true. Young and old, seasoned or new, Yin or Ashtanga, props can further anyone’s practice. Read on to learn how the Four B’s—blocks, belts, bolsters and blankets—can be used to bring the best of you to your yoga practice. Yoga impacts the lymphatic system possibly more than any other system in the body, due to the contractions and expansions required of asana. 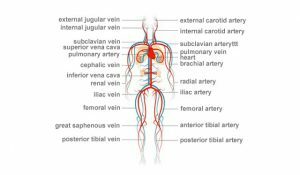 Because the lymphatic system has no independent pump, unlike the circulatory system which depends on the heart, it is entirely reliant on the physical activity of the body—it only has the power of your movement and your breath to keep it healthy. 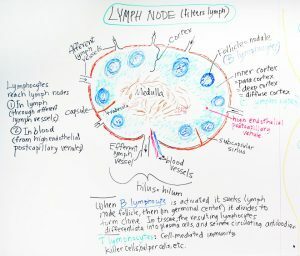 What is lymph? The lymphatic system keeps germs, viruses, toxins, and bacteria at bay. Because of its disease-fighting powers, a healthy lymphatic system is a key contributor to a body’s healthy immune response overall. An unhealthy lymphatic system can result in everything from poor digestion and the common flu to multiple sclerosis and even cancer. I don’t have enough time… I don’t have enough space… Sleep is more important right now… There are endless reasons for not practicing yoga at home, even though it’s something that is scientifically proven 1 to enrich your life. While sometimes circumstances genuinely impede an at-home practice, students are only as limited as their imaginations when it comes to surmounting those obstacles. What all excuses ultimately boil down to is a choice: Do I overcome inertia or do I stay rooted in the patterns I’m used to? Health psychologist and yoga practitioner Kelly McGonigal defines this in her explanation of willpower as “the ability to do what you really want to do when part of you really doesn’t want to do it 2”. So… how do you do it? 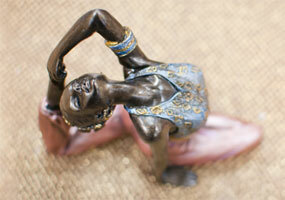 Anusara Yoga focuses on postural alignment in the body and positive alignment in the mind. Together, they create a style of yoga focused on a connection with spirituality from the inside-out and a belief that people are inherently good. Founded in the mid-90’s by John Friend, Anusara quickly became one of the most popular styles of yoga in the West. This is thanks in part to its focus on fostering community, inclusiveness and a belief that everyone can connect with the divine. Friend’s journey with yoga began at the age of 8 when he became captivated by stories about yogis who had developed supernatural powers. That curiosity about the esoteric potential of yoga was bridged with the physical asana when he started a regular practice of Ashtanga yoga and later Iyengar. Though he was passionate about yoga, he was became frustrated by what he saw as isolation between mind and body he found in these two styles. He eventually developed his own brand of yoga based on Tantric philosophy and dynamic biomechanics, which became Anusara, meaning “to step into the current of divine will”.